Today I am re-posting an old blog post from 2009 that got lost when I changed my blog address. It was one of my most liked, linked to AND commented posts, so it would be such a shame to just lose it, don’t you agree? So without further ado, here’s my Ikea Hack! A while ago, a friend of mine introduced me to one of my new favorite blogs: Ikea Hackers. The premise is this: you take an item bought from Ikea and disregard the instructions completely while turning the item into something completely different. Well, I had a few spare hours to myself last week and headed out to ikea to snoop around. In addition to buying a few apartment essentials, I got a toothbrush holder. Yes, a toothbrush holder! However, I never intended to use it for storing toothbrushes. I repeat – there will be no storing of toothbrushes! Are you curious yet? Good. Now, let’s go through this step by step! 1. 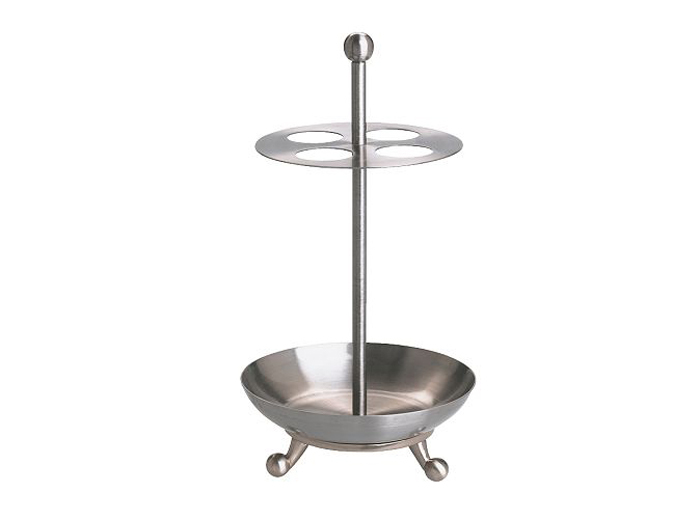 Buy one ”Lillholmen” toothbrush holder. 2. Nag boyfriend until he remembers to borrow a drill from work. This should take about half a week, depending on the boyfriend. 3. Drill tiny holes in your ”Lillholmen”. 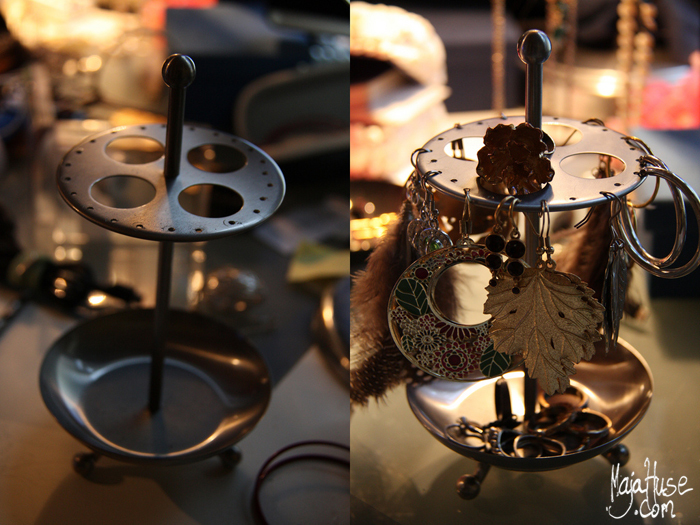 Congratulations, you just made an earring/ring stand! This post was originally featured on both Ikea Hackers and a few other places, which was pretty cool. I still use my little hack every single day, and it is proudly displayed on the top of my book shelf. → The perfect wardrobe… Then what? Jeg liker IKEA Hackers-bloggen (og jeg liker bloggen din)! Genial idé som jeg lett hadde stjålet/lånt hvis jeg bare hadde hatt en drill! Stjeler et velkjent sitat; Smart! Så gøy å høre at den falt i smak! Ja, sånne småting er kjempegøy – dessverre har jeg ikke greid å komme på noe like glupt siden 2009, hahahaha.